A houseboy who serves his boss at No 5 offin canal Lagos Island market, was reportedly chained and locked with goats without food for days. It was gathered that though the boy’s offence is not known, however this is not the first maltreatment the boy is getting from the Nigerian man. 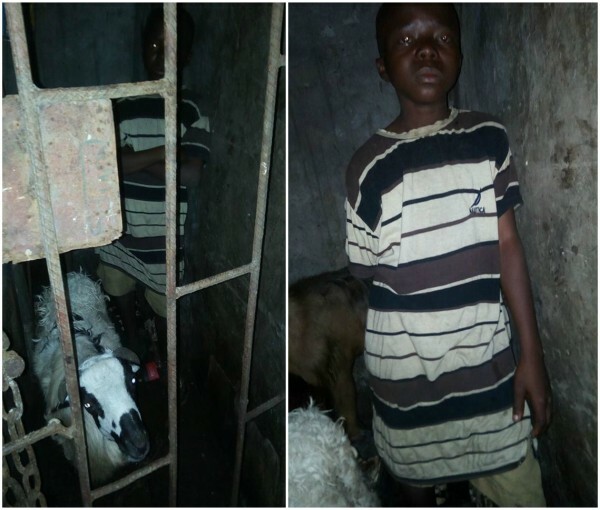 0 Response to "Nigerian man chains and locks houseboy in cage with goats in Lagos (photos)"